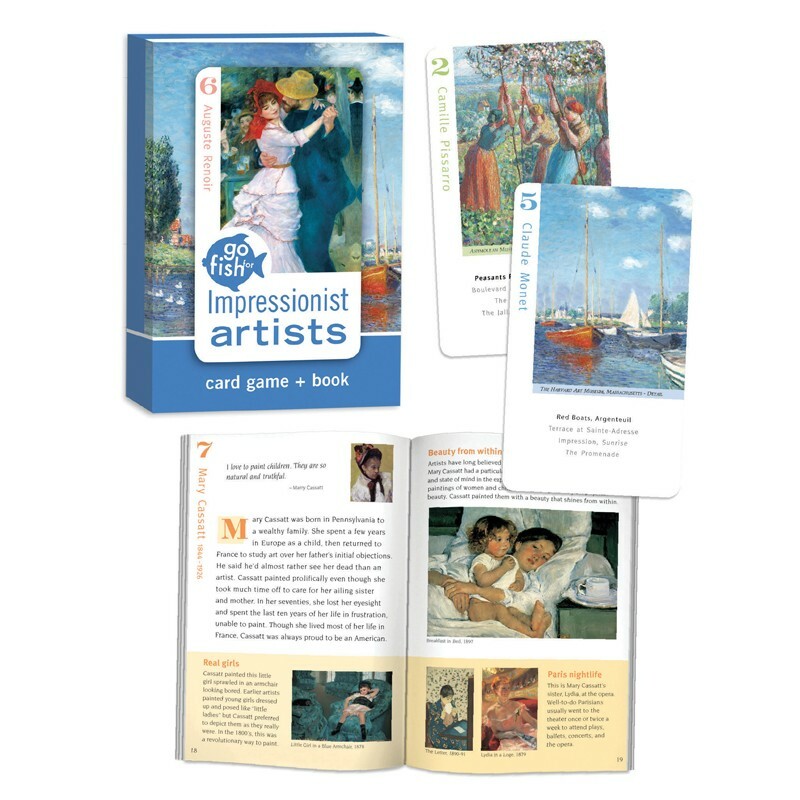 Play Go Fish and memory matching games to learn about 8 great Impressionist artists like Monet, Renoir, Degas, Cassatt and others. 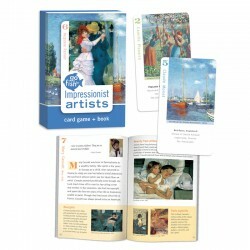 Includes 36 playing cards plus a 28-page companion fact book. Ages 6 & Up.